A custom domain name is a must have thing for your Blogger blog. Especially if you want your blog to stand out from the rest and gain reputation. Also, it becomes easy for your readers to come back to your blog again and again. Typing those long blogspot URL can be tiresome. Therefore people purchase a custom domain name for their blogspot blogs. However, you will have to make some changes in DNS Zone File in order to map your domain name correctly to Blogger blog. Once you have a purchased a domain name from GoDaddy, you will be able to change these settings. So lets see the whole procedure. Step 1: Go to the Basic settings of your Blogger blog. Step 2: Under Publishing, add your domain name where it asks to set up third party domain name. 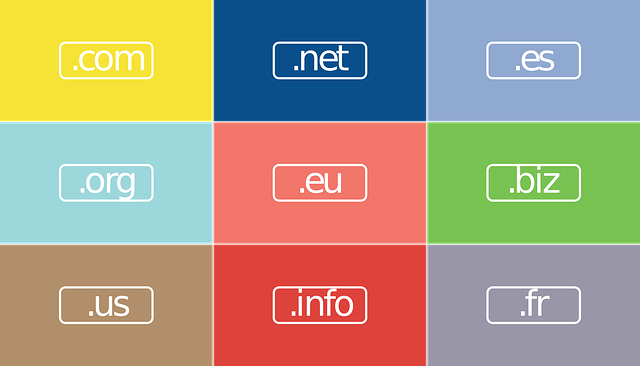 Type your full domain name including www. Step 3: Now try to save this and it will present an error. It will ask you to add two CNAME records in the DNS Zone File of your domain name. Step 4: Go to Manage DNS option of the domain name in your GoDaddy account. Step 5: Out of the two records in step 3, enter the first one where Name “www” points to “ghs.google.com”. This record is already created in your GoDaddy account. So you will have to only edit the Value field. Step 6: Add second record of step 3 by creating a new record in Records settings. Enter Name and Value. Save it. This record is unique for each blog so enter yours carefully. Step 7: Create 4 new separate A records which points to 4 different Google IPs. Enter “@” in the Name field and Value should be the following IPs. This is an optional step. However, its better you add it. 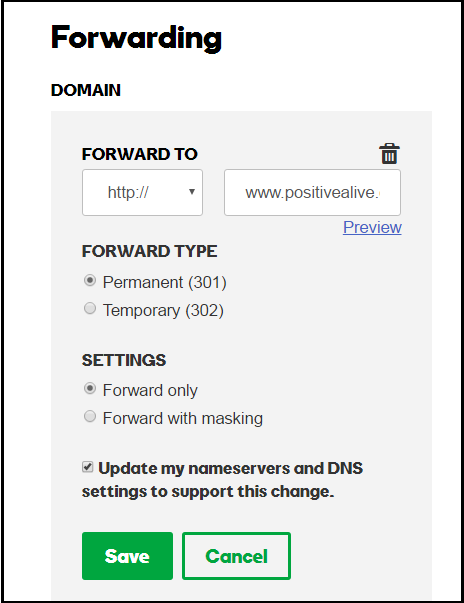 Step 8: Add a Forwarding rule for the naked domain in Manage DNS option. This is required when you want your blog visitors to be redirected to the full address i.e. including www in your domain name. Step 9: Check the option for redirecting blog visitors in Blog Address settings of your Blogger account. Step 10: Save Blog Address settings in Blogger account. Now wait for few minutes and your GoDaddy domain name will be mapped to Blogger blog. Visit your blog address and you will be redirected to the custom domain name that you have set up. It takes time for your DNS Zone File to get updated. So you will have to wait for few minutes before you can see this change. If you have messed up anything in between then you can restore the default values in DNS Zone File and start again. In case your domain name in GoDaddy is not parked correctly then you will have to first change the default A record. The default A record should point to the host “50.63.202.32”. This is for domain names registered with GoDaddy. Thus, you can map the custom domain name from GoDaddy to Blogger blog. If you have any questions or suggestions then you can comment down below.